Call recording add-on for MyPBX U series can realize automatic recording for customers most easily. The Call Recording add-on automatically detects every conversation on the phone and records all inbound and outbound calls. Monitor the conversation for various purposes required by your business and enjoy the benefit of inquiring, replaying and managing all call recordings. Note: Call Recording Add-on is only available in MyPBX U100, U200, and U300. Call Recording feature is embedded in MyPBX U510, U510, U520, and all models of S-Series VoIP PBX. MyPBX U100 is a 1U rack mount model IP PBX for up to 100 users. 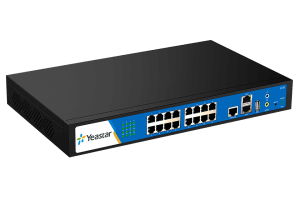 Internally, it supports network access to ISDN BRI, PSTN, GSM/CDMA/UMTS and VoIP. High performance, stability and compatibility, combined with rich functionality make MyPBX U100 perfectly suited for your business communication. MyPBX U200 is a workhorse designed for companies requiring up to 50 concurrent calls and 200 users. It supports PSTN, ISDN BRI lines, GSM/CDMA/UMTS networks and VoIP. Also, it is equipped with an audio input port and an audio output port. MyPBX U200 is truly unrivalled for features and value. 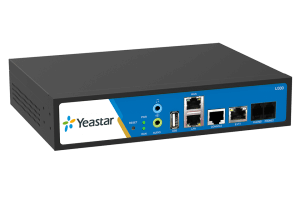 MyPBX U300 boasts an embedded PRI (E1/T1/J1) port with up to 30 lines, 2 FXS ports, 300 users, and 50 concurrent calls in the one compact system, providing higher density trunking for offices using E1 PRI signaling. It could be used as a gateway to legacy PBX systems in applications.